Does anyone happen to know the part number for the steering arm on the Spicer 44 4wd front axle? I know, I know, "get a shop manual", but there's not much that's stock on my truck anymore. Does anyone happen to know the part number for the steering arm on the Spicer 44 4wd front axle? I know, I know, "get a shop manual," but there's not much that's stock on my truck anymore. 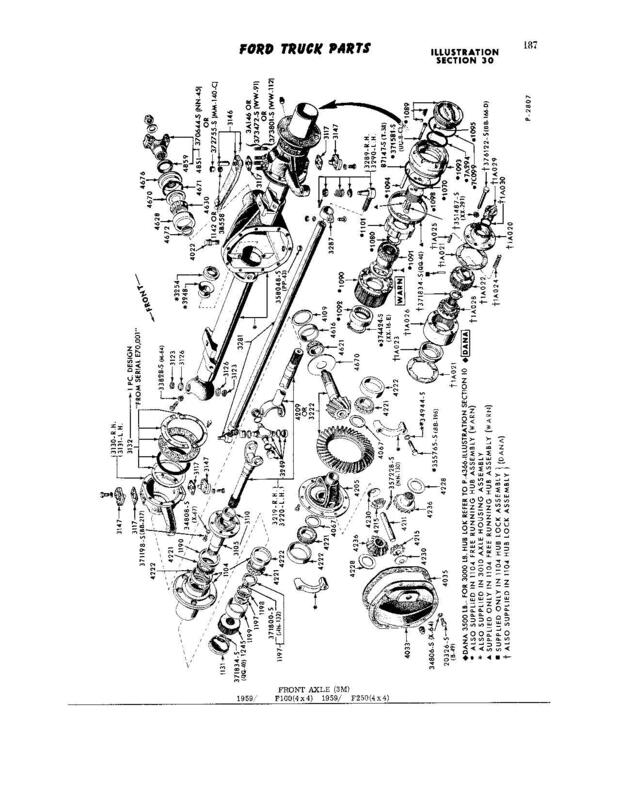 You need the parts catalog, shop manuals, as a general rule, don't have part numbers. Basic numbers shown in pic, post the one that applies and I'll give you the complete part number. Thank you sir!! Looking for 3146. 1959 F100/250 4WD; 1960 F100/250 4WD before production date 1/25/1960.